Colorable Compendium of Geek History now for sale! Good news, adult coloring fans! 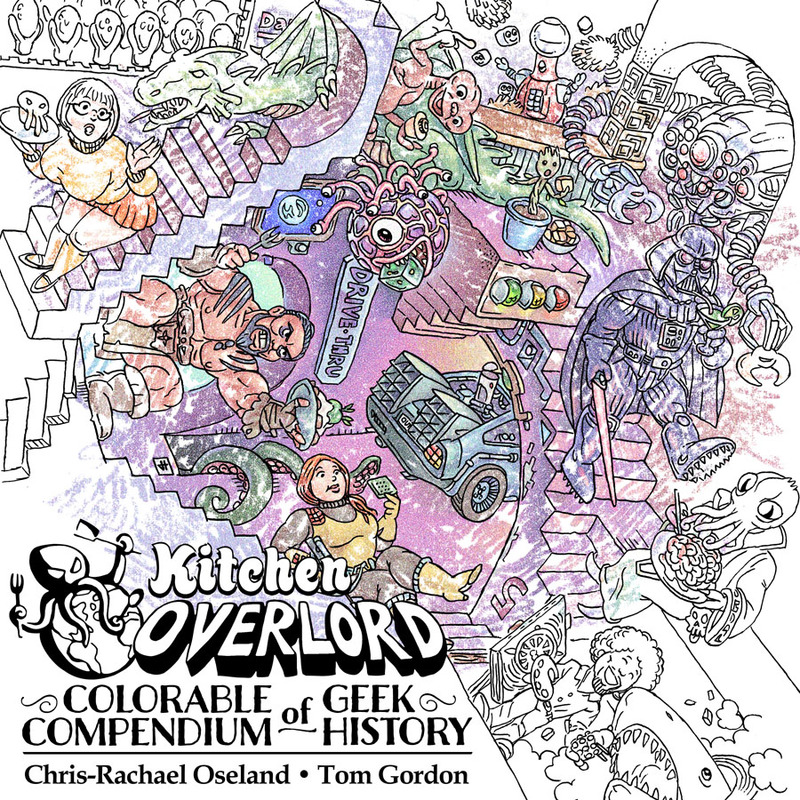 The coloring book edition of Kitchen Overlord’s Illustrated Geek Cookbook you’ve asked for is now for sale! The 110 page Colorable Compendium of Geek History takes you on a tour of 120 years of fandom from H.G. Wells The Time Machine up through the present including iconic books, movies, TV, comics, and games from every decade. Click here to get your copy in just two days with Amazon Prime. This book isn’t just fun to color (and isn’t coloring fun? I can just smell the crayons…), it’s a light-hearted homage and guide to decades of science-fiction and fantasy that might just teach you a thing or two as it inspires your creative spirit. Although most on-trend bookstores are currently stuffed with spectacular “adult” colouring books, The Kitchen Overlord wins top billing by offering you so much more the chance to colour these richly illustrated worlds, this colourable anthology walks nerds through a condensed timeline of our favourite comics, movies, novels and video games. It’s like a Geek History class, but with markers! A delightful aspect of this to-be-coloured compendium is the wit and humour woven throughout Oseland’s commentary. The coloring book includes many different fandoms and takes readers on a historical journey of geekdom, with informative and often humorous captions accompanying each illustration…This book features a chronology, rearranged art, and six new pages by illustrator Tom Gordon. More into cooking than coloring? (Hey, you ARE on a site called Kitchen Overlord!) 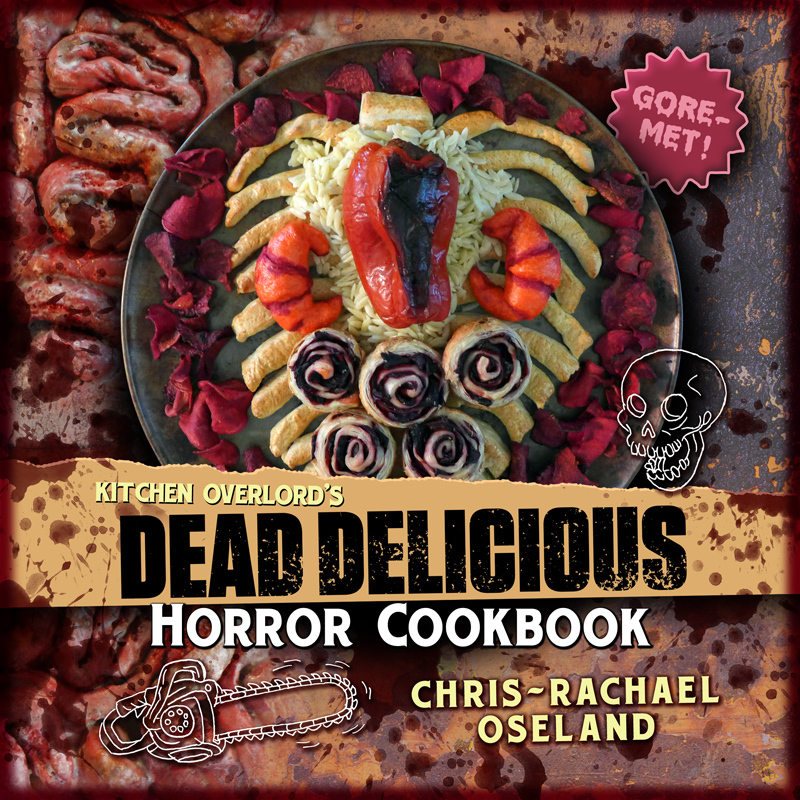 You can also pick up all of our Illustrated Geek Recipes (plus some book exclusives) in one gorgeous hardcover with Kitchen Overlord’s Illustrated Geek Cookbook.